We’re up to the 7th generation of Volkswagen Golf so a MKIV R32 might not seem as amazing as it once was. Even though it was an engineering masterpiece, it could be dubbed a bit mellow by today’s standards. That is why a group of car enthusiasts from Kosovo decided to revamp the car with a mind blowing V10 twin turbo setup taken from a C6 Audi RS6. This is where things started to get a bit crazy, as the 500hp stock engine wasn’t powerful enough to be left untouched. They opted for a custom turbo setup, with exhaust pipes going out through the hood, MAD MAX style! Still no info on the power of this beast, but it sure can move. Taking it from the video below, it takes 2.5 seconds from 0-100kmh and another 3 seconds from 100-200kmh. It reaches 0-300kmh in 13 seconds flat. For comparison, the new Bugatti Chiron takes 13.6 seconds for the same result! You can see for yourself in the video below posted on Facebook by Gumbal. Why is the MotoGP shifter pattern reversed? 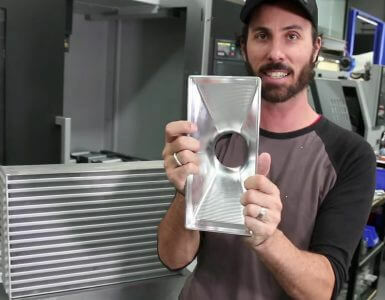 Why buy an intercooler off the shelf when you can make your own? If you don’t know how to go about fabricating one then keep a close look at this episode! 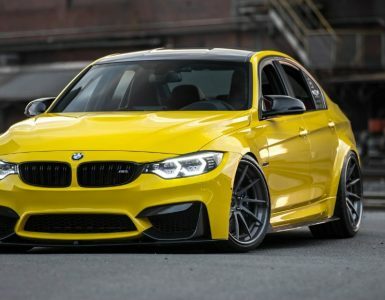 Never seen one in yellow colour..
Matt Farah is back with another awesome ride. 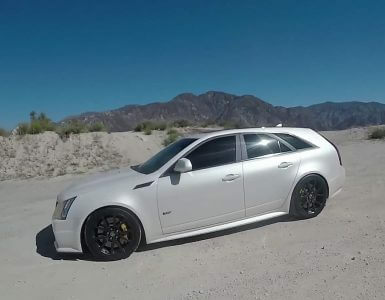 This episode of One take features a CTS-V Wagon. We’re already kind of used to those but this one has a slight twist to it.